If you've been glued to the likes of social media over the last 24 hours, you may well have seen a new rumour doing the rounds suggesting that a Nintendo Direct is on the way this week. While a rumour can only ever be exactly that - a rumour - we have to admit that this particular case does seem very plausible. First thing's first, the rumour itself is coming from Gaming INTEL, who says, "According to our source, alongside many other insiders within our team, the 'next Nintendo Direct will be taking place on April 11th, 2019'". All the usual red flags are there - who is the "source" and who are these "insiders"? - but we wouldn't bet against a Direct happening this week regardless. Whether the sources have 100% accurate information or not, a Direct does feel likely. There are several reasons for this, but the one that's screaming out to us, in particular, is the retirement of Nintendo of America president, Reggie Fils-Aimé. We are now in Reggie's final full week with the company - his final day is said to be 15th April - and what better way to give him the big send-off he truly deserves? In fact, we had already dreamt up the idea of Reggie giving us a proper reveal of Animal Crossing Switch as a goodbye present thanks to a recent Nintendo of America tweet - perhaps that dream will come true after all? And this leads us on very nicely to our next reason: Nintendo's crazy 2019 line-up. E3 is rapidly approaching, but we're still yet to see our usual levels of pre-release info for the likes of Animal Crossing, Pokémon Sword and Shield, The Legend of Zelda: Link's Awakening, Super Mario Maker 2, Luigi's Mansion 3, and more. While some of those aren't launching until late in the year, Super Mario Maker 2 is set to release this June - the same month as E3. Surely Nintendo plans to give us more info on the game before E3 comes around? If so, now's as good a time as any. Oh, and we're still waiting for a confirmed release date for Joker in Smash Bros. Ultimate. The list goes on and on. As always, make sure to treat this rumour with the usual pinch of salt. If it does turn out to be real, airing this Thursday, we'd expect Nintendo to tell us in an official capacity on Wednesday. Naturally, we'll share that news with you the moment it arrives. Go on then, let your thoughts be heard in the comments below. Is it happening? Is it not? And what would you want to see if it arrives? Only a stability update can save us from this speculative day at Nintendo Life. Would be nice though I think a Direct will be later like the 25th to reveal Persona 5S and the Smash 3.0 update. It is just embarrassing quoting Gaming Intel. They promised the N64 mini didn't they? Now there is a good chance there will be a Direct because of circumstances, Joker on Smash, Reggie retiring, history. Have some shame Nintendo Life. I'm feeling the Nintendo Direct too, like it could be on a Wednesday or Thursday this week, with only a day's notice, as they tend to give. I have had a feeling a Direct would be airing either this or next week myself. That said, rumours will be rumours, and I won't actually believe it until it comes straight from Nintendo themselves. I'd certainly love to see Reggie shine one more time in a Nintendo Direct though. Thanks for everything Reggie! One final Direct would be a good way for him to go out. I hope he is featured in some way. I'll always be a Reggie fan. As for the Direct, the timing is about right. The month of April has hosted a Nintendo Direct in 2013, 2014, 2015, 2017, and 2018. 2016 was an off year but they were gearing up for the Switch. This is the Spring Direct that lays out the plans for the year and gets the hype for E3. Doubt we’ll have one before E3, but it would be nice! @SBandy I think it's quite clear that we're extremely cautious of the 'sources' ourselves. The post is simply sharing the report with our own opinions and reasonings for why a Direct could well happen. Imagine if Reggie's farewell gift was a release date for Animal Crossing. I'm getting teary-eyed just thinking about it. Reggie at the end of the stream "one more thing, they finally let me make a decision and the entire Mother series is coming to switch remastered from the ground up worldwide." @Sinton History suggests they often have one before E3. "And for my last trick, I pulled a few strings...and we're going to re-release my personal favorite Zelda game, Link to the Past, in an amazing collector's edition (and on the eshop). $30 (or perhaps more likely, $40), and you get the game, a map, some artwork, the soundtrack...enjoy." Hence, the Best Buy listing that otherwise kinda makes no sense. @ryancraddock Yes but what about real news, reviews and other such articles? Reggie will be featured in Animal Crossing Switch if my sense is right. @RazumikhinPG All available right here! @ryancraddock is it possible to put together a follow up article or discussion article regarding what they would announce or focus on during the direct if it were to be true? Reggie being in one last direct would be awesome and a great send off...and what would be even more awesome is at the end Reggie announces Mother 3 for switch as a going away present.....please Reggie. @SpiritGun7 If it gets announced officially, then that would certainly be an option for us - good idea! 🙂, but giving more than one article to a rumour might be a bit too much. It's about time and as Nintendofan83 pointed out we usually have a Direct in April. The timing with Reggie's departure is right too which I would have to think they wouldn't just have him leave though he did already do a video announcing his retirement. It's about time we see Animal Crossing Switch! 2017: January (Switch reveal) and April. 2018: January (Mini) and March. If there’s a direct before E3, my guess is it would be a Super Mario Maker 2-Direct or something along those lines. I can't imagine they'd do another Direct right now, we just had one, and we're so close to E3, I'm not sure there's meaningful content for it, but I wouldn't be surprised to have a mini-direct that's a farewell message from Reggie, but maybe with "one more thing(TM)" to send him off in style. I'm not entirely convinced that we'll be getting an April Direct. We need to learn about the Smash update and Joker stuff and release dates for stuff like Mario Maker but none of that necessarily has to happen in a Direct (or at most game-specific mini Directs). We've already recently had a Nintendo Direct and a Nindies Showcase that did a pretty good job of showing off what we can expect over the next few months so it kinda feels too soon for another one with E3 just around the corner. Oh my god! Reggie could be the next DLC character in Smash Ultimate! Here we go again. Wouldn't it be easier to report when there isn't a Direct rumour? The last one was great and I can't imagine they have anything left to announce, especially as they will surely want to keep one or two surprises for E3. A game specific direct could be more likely though. I won't deny a final (official) appearance by the Regginator. It's about time for another Direct anyway IMO. 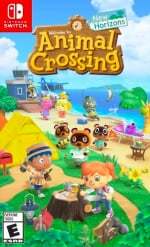 First Footage for animal crossing confirmed! i loved to see a direct in April 2019. but, Game Intel claiming it, is a huge red flag for me. hopefully there will be one coming this month though. I loved to be prove wrong and Game Intel is right. i really do want to see an Animal Crossing reveal. Could go either way. There's still a fair amount of stuff to talk about: Mario Maker 2, Smash DLC pack #2 and whatever that new 3.0 update is supposed to be, their justification for putting a PlayStation character in Smash in the first place (the only justification I can see is if he were to cease being a strict PlayStation character), Luigi's Mansion 3, Pokemon Sword and Shield, Animal Crossing... On the one hand they need to save some stuff for E3. On the other hand, they didn't really reveal anything at E3 2018 yet still had a great year. But this time they have an opportunity to win bigly with Sony not being there, and it would be foolish to waste it. I think it's pretty likely due to the Best Buy leaks. If not this week, then definitely near the end of the month. I love Directs, but I actually hope this isn’t true so that they can save any surprises to make their E3 presentation even better. That is, of course, unless they have so much to announce that E3 can’t contain all the awesomeness and an early Direct is needed to spread out the announcements. Or he will say, “Mother 3 is not coming out. Please, please, quit asking”. Even if its not this week I expect some form of a direct before E3. Anybody know why Reggie's last day is a Monday? My wife and I have given several "2 weeks notice" in our careers but it's almost always a Friday. Why ruin a perfectly good weekend by having to come in for 1 more Monday? Our best guesses are he's either on a contract that expires on the 15th, which would be a weird contract for a President to have, or, his contract states if he works half the month he gets paid for the full month, but that doesn't really make any sense either. Whatever, I'm guessing a "tribute" Direct on Monday. And if the "Regginator" robot is a free DLC character in Smash, so much the better. If a plant can fight, a robot with laser eyes certainly can. If this turns out to be true then this will give us a worthy sendoff to Reggie. GamingIntel is a load of bunk, but unfortunately I do agree that this is a likely week (unfortunately because of it happens then it’ll give credence to them). It’s been two months since the last one and two months until E3, they could announce all of the pre E3 release dates (Cadence of Hyrule and Mario Maker 2 are the main ones), and obviously it could have Reggie saying his last words for Nintendo. I kinda hope he opens up a Twitter account or something. He seems like a pretty funny and down to earth guy, and since he doesn’t have to worry about his status in a company i bet he could make some pretty good commentary and jokes on world events. Well, surely he’ll just want a nice long break from the spotlight, too. honestly i settle for a mario maker 2 themed direct. And maybe a final push for labo vr and reggie says goodbye of course. To be honest, I would love it if they said the art direction on Link's Awakening was an early April Fools. Sorry but it is awful. He already got a farewell video, there's no reason to plan a direct to coincide with his unfairly early retirement. Also, gaming intel is about as credible as spong.com was back in the day. I do hope we get a send off for Reggie with Nintendo Direct or not. I want this to be true so I can rub it off in all of your faces that I had guessed this in a thread. And also Reggie. I would LOVE a Direct on my birthday! That way it’s a good day for everyone!! @rjejr Absolutely everything about's Reggie's departure is very strange, quite honestly. While I'm not a huge Reggie fan, something here is certainly not quite what is being presented. While, like everyone else, I'd be hopeful for a Nintendo Direct, I cannot be certain on its likelihood. What I do find likely is that Nintendo will do something as a send-off for Reggie. It'd be a disrespect to his final days in the company otherwise. I have foolishly set my expectations at "Mother 3 HD - Full Clay Animated Remaster"
Never in my life have I felt so entitled as to what I should get for someone else's retirement. Since all the android jrp's game's were announced in the last direct surely this one wouldn't be so riddled with them. Hopefully they throw us a Metroid Prime Trilogy port and a new F-Zero to celebrate the retirement of Reggie. @Sinton I'm 100% sure we'll have either a Nintendo Direct or Nintendo Direct Mini before E3. Since we still need official dates for a few june / july games. Super Mario Maker 2 included. 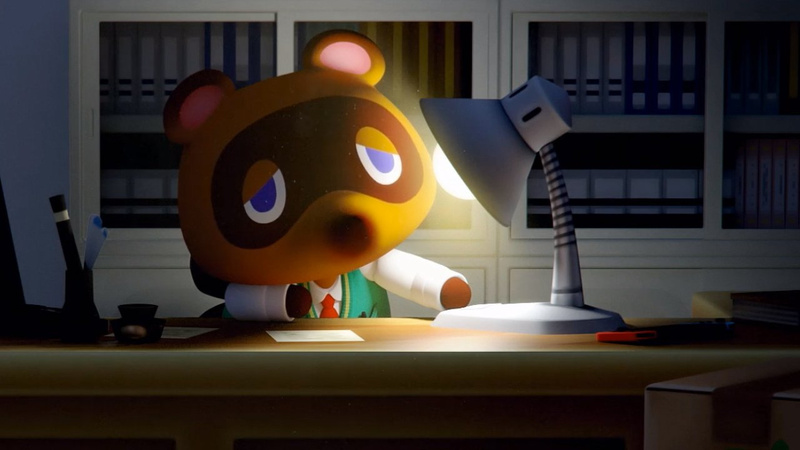 I'm waiting for the direct to end with Reggie saying "Oh, one last thing before I go, Animal Crossing is available to download in the store as soon as this Direct is over"
If it's a animal crossing direct I've not got the time of day for that trash. @ryancraddock I understand that entirely, especially certain sites that post everything as though it were truth they’ve got to be the worst. I meant for more of a for fun kind of article see what the community cooks up and maybe ping pong theories. Or even something along the lines of a community guess the E3 lineup challenge whoever gets closest gets a t-shirt or download code or something. The last Direct was not even 2 months ago, if there is a Direct it will be either a Smash or Animal Crossing one, you guys have to realize Nintendo doesn't unlimited things to show and that 2 months of development is not that much. I'm Reggie to see him hand over the rains of the mushroom kingdom over to Bowser. Oh yes Reginald, give it to me directly. No matter how things are spinned factually on whether or not a Direct occurs, I, for one, do wish to see Reggie one more time in a Direct. It feels nice that we would have to connect with Reggie and celebrate with him before he leaves. Didn’t we get a tease from Nintendo about tax day ( April 16) via Tom Nook a while back? @Krambo42 I was thinking about that, too. Sitting in my cab on the hype train eating popcorn and waiting for it to pull out of the station. @sanderev While I hope you’re right, meaning Nintendo have enough content to show now and still impress at E3, I believe a general mini direct or one or two game specific mini directs is the most we’ll get. I have a theory that the rumored Switch port or Link to the Past is going to be a free present to us from Reggie. It's his favorite game of all time. It will be timed as free for 3 months or a year or something then be $10 after that. Mark my words. There isn't going to be a Direct this week. There probably won't even be a Direct this month. Honestly, considering that the last Direct was, what, a month and a half ago, I wouldn't be surprised if the next Direct was the E3 Direct. We may get an additional Direct that centers exclusively around Mario Maker 2. Nintendo arranging a Goodbye Reggie Direct is wishful thinking at best, and naive childishness at worst. Nintendo, great as they are, are not THAT sentimental! @rjejr maybe he’s got holiday days to use up? The perfect send off would be Mother 3. I'm not talking about perfect for the masses (Animal Crossing), I mean perfect for Reggie. I bet you $1,000 that none of that happens. 1). Ten free NES games/10 free GBA games to early adopters of the 3DS. Remember, the 3DS didn't come charging out of the gate, and they lowered the price from $250 to $180 pretty quickly. They gave away 20 free games to make it up to the early adopters. 2). Remember when they gave away a free game to those who purchased Mario Kart 8 on Wii U? It had to do more with the fact that the Wii U spent it's entire lifespan struggling to stay commercially afloat. 3). Dragon Warrior/Nintendo Power promo: This was the promo that made me a member. A free copy of a great game! The truth is, though, that DW flopped pretty badly in the states and, from what I understand, Enix turned to Nintendo and came up with an arrangement to get rid of the excess cartridges, and that arrangement led to the NP promotion. Don't get me wrong, I would totally love to play LttP for the 7,000th time (it's one of my favorite games), but they have no reason to simply give it away. There is ZERO legit leaks for a Direct from a reputable source. This is why people mock leaks. Because sites parade bogus rumor as "legitimate", and of course it never pans out, so people say "you see, you cant trust leakers". No... there's plenty leaks you can trust. You just cant trust that one. You have to know who to listen to and who to ignore. This here? This is a solid ignore. Its speculation based on wishful thinking and educated guessing, passed off as "insider info". There are so many games out, and coming out soon, that I can't say I'm starving for a direct this time. That being said, I'm always up for updates on titles hitting later this year. There's a few that we know are coming, but have virtually no info about. So it would be nice to see something about those. But as I said, I'm not going crazy over it this time. After reading several comments I was able to piece together some interesting tidbits and have come up with what I think is the most likely scenario. The "Tom Nook tax day" tweet is interesting especially when you consider the timing of Reggie's retirement. I conclude that we will be getting a Direct this week, they will be talking about Animal Crossing, and they will be a surprise announcement that Animal Crossing will be released next week. I mean come on, Tom Nook said he had an idea on what we could spend our tax rebates on and Reggie is retiring to spend more time with with his "family". He knew when Animal Crossing was being released and that is the actual reason for retirement. If I am wrong I will eat my... favourite foods. Nintendo has to announce big exclusives for this year if they do not want to angry their fans and this Direct would be an ideal opportunity. They should give him one last Direct. @Glitchling78 So his actual last day is Friday April 19th but he's taking the last 4 days as vacation days making the 15th his last day in the office? I suppose that's one way to leave a company. @NEStalgia "something here is certainly not quite what is being presented." That was my initial reaction b/c I'm so cynical about life. Though now I can't find that post anywhere, and I just spent 20 minutes looking. But yeah, Reggie retiring at 58 is too young to retire, too kinda old to start looking elsewhere, so he was probably forced out in some way, shape or form. @rjejr Too young to retire? What the heck does that mean? I'll retire the second I have enough money. I'm in my mid-thirties and I'd retire today if I could. @rjejr Yep, that's what I've thought all along. The whole thing seems fugly, quite honestly. It was also telling when Phil Spencer well-wished him as a " good friend" on "the next phase of his career".....wait, didn't Phil get the memo he's retiring to spend the life out fishing with the fam? There's also the possibility he or a close family member is not in for a period of good health so he's retiring for that....he said retiring while in good health, etc. etc.....but that could have a double meaning of "good now, but won't be good at some point." Either it's a sad medical issue, or yeah, he's being gutted like a fish. @BanjoPickles Okay. All of that makes sense and is based in reality. That being said, can you please just let me live in my fantasy bubble where Reggie and Ninty love us all enough to get free Zeldies!? Lol But seriously, I do think LttP is coming as a sendoff to Reggie However, we will be paying for it. @NEStalgia Let's hope we don't see Reggie as the new Google Stadia CEO in a year. @Krambo42 Amen to that, brother. @Prof_Yoshtonics Source that it's his favorite game? @NEStalgia Maybe. Apparebtly Bowser has been behind Switch marketing, which is basically Reggies job. Maybe they wanted him to stay on for 2 years while Bowser slowly took the reigns after the failure of Wii U? Go on, let him reveal the official English translation of Mother 3--to be released that same day (the digital version at least). Tomorrow would've been a perfect day to release Joker since that is when he moves into Cafe LeBlanc to start the game. @NEStalgia I've been trying to actually give Reggie the benefit of the doubt on this one, that they wanted to demote him yet again, think it would have been the 3rd time in 5 or 6 years, and he just said "no". Which is what companies do when they want to fire you but not give you a big golden parachute, so they just make you quit. I mean, he really had no power at all, just a mouthpiece, and maybe they even wanted to take that away from him? When's the last time he did a good Regginator gag in an ND? Him and Bill Trinnen had some good doughnut gags going there for awhile. I don't know, just not buying a guy getting paid presidential money to do nothing quitting at 58. 2 months before E3. Who doesn't want to go to E3 on the companies dime? Hopefully it's not an illness. I don't like most people, but I try not to wish ill on anyone. @Krambo42 "Too young to retire? What the heck does that mean?" It means he's in a position of power. People w/ power don't retire b/c then they don't have anyone to wield their power over, they're just some old guy sitting around the house getting harassed by their wife. Mostly a decade, some 2 decades, older than Reggie. 62 years: That’s the average age of Trump’s Cabinet-level picks, topping Obama’s Cabinet average of a little over 58. Several of Trump’s picks are older than any of the Cabinet-level nominees of Bush or Obama: 79-year-old Ross; 70-year-old Sonny Perdue, the Agriculture nominee; 69-year-old Robert Lighthizer, who Trump picked to serve as the U.S. Trade Representative; and 69-year-old Sen. Jeff Sessions, who Trump has tapped to run the Justice Department. And yes, they do have enough money to retire. $2.5 billion: That’s the reported net worth of Ross — just one of Trump’s Cabinet picks — and it’s greater than the total net worths of both Obama’s first Cabinet (worth about $115 million) and Bush’s first Cabinet (a bit less than $200 million, cumulatively, though more when adjusted for inflation) combined. In fact, Trump has at least three Cabinet-level appointments whose net wealth is greater: Ross; DeVos, whose family wealth of more than $5 billion; and McMahon, whose wealth is $500 million and perhaps more, depending on if you include the fortune of her husband, WWE CEO Vince McMahon. Even below the billionaire or hundred millionaire threshold, there’s still great wealth in Trump’s Cabinet. Iwata liked him and kept him important. Kimishima didn't like him, i gather. And furukawa is just a corporate investor shill who really really didn't care but probably wants to keep total control within his executive floor. 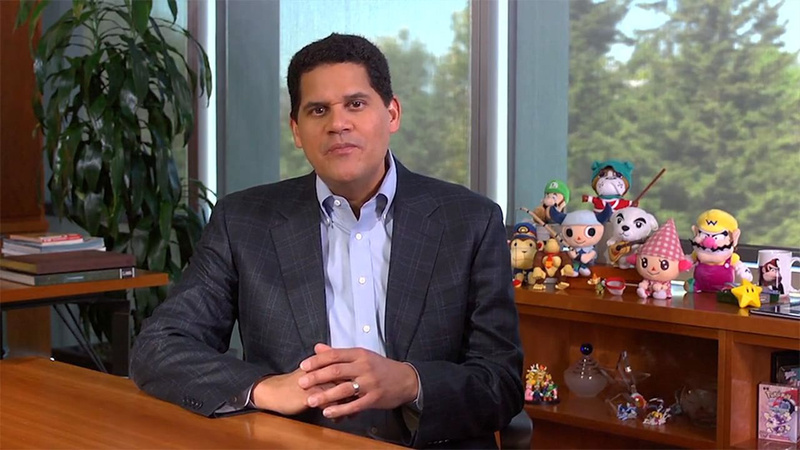 Even if we didn't get a traditional Direct, it would be nice to hear Reggie say goodbye. I don't think anyone else in the industry was ever as popular and memetastic as Reggie. At least among westerners. If there is actually a Direct, I'll be happy just hearing about Animal Crossing news and what that 'big Spring update' Smash is getting will have. @NEStalgia "probably wants to keep total control within his executive floor." Yeah, the new president scenario can't be a coincidence either. Gaming Intel is not reliable at all. They claimed that the N64 would be announced for a December 2018 release and that there would be a Direct in January 2019. Apparently, they are also trying to pay insiders for leaks that they can take credit for - like $10 per leak. Pathetic, really. I just want to know if Mario Maker 2 will have better online course quality control. Stop taking down levels with lack of stars, and comments, too. Bring back comments! For the person who would say "But comments were linked to Miiverse, and Miiverse was shut down! ", why can't they moved comments to SMM2? More rumours. Pah. I suppose i’d better get my wish list together of HD editions of games that barely sold 700,000 first time round. @Trajan Iwata really liked Reggie, plus Reggie was vital for defending the WiiU, which was really Iwata's baby. No reason to get rid of the guy carrying your water. I always had the feeling Kimishima and Reggie had a history, though. Remember, Kimishima was once Reggie's direct boss at NoA. Then Iwata replaced him himself and recalled Kimishima to Kyoto....and elevated Reggie's profile at the same time. There was strange silence when Kimishima replaced Iwata. I always got the impression of past friction, though nothing came of it. Yet the day Furukawa comes in, Reggie's gone in under a year. At an age no executive ever retires, with a fun "public facing" job that many would love to run. It doesn't add up. It's either political, or, it's a personal hardship we don't know about. Or Reggie's a serial philanderer and he's being ousted before he becomes another Bezos and tarnishes Nintendo? Now I'm picturing a comedy skit of Reggie hitting on prostitutes in his monotone, robotic prose. Either way it's not the happy retirement it's being spun as. There's just no way. By E3 backlash I mean Furukawa has been spinning the "underperformance" of Swtich (falling 2M short of the rediculous 20M expectation) as some kind of tremendous failure. Playing into investors hands. NoA is the #1 sales territory. That means Reggie's the fall-guy for the "underperformance", internally. Guaranteed that plays into this. E3 is just speculation, but many were unhappy with the all-Smash focus, and unlike Directs, NoA runs E3 mostly, outside the pre-recorded part. Linking an unliked marketing stint of E3 to "2M underperformance" seems possible. But again, we don't now. Politics seems likely. But it could be a personal/family medical crisis or such. It could be that he's been caught in a compromising position. There's just know way the guy just stops working at 58, "I've got enough, time to golf all day." There's more to it than that. No powerful executive just cuts and runs in their prime. Not when you're making 7 figures at an entertainment company. That's a cushy gig people hang onto endlessly. Heck, not even when you're making 7 figures at a chemical company. That's a role you can delegate the day-to-day to others well enough and oversee things leisurely, with the experience to not have to spend 20 hour days doing it all yourself while still being effective at knowing what works and what doesn't. @rjejr Yeah, nothing specific, but the guy rubs me the wrong way. He seems like a generic Western corporate suit - a Bobby Kottick type figure, who exists to help investors drain the company of it's assets and extract all value like a strip-mining operation. Not what I expect from a Japanese leader. Yeah, I think it's pretty likely to come soon. Guess no direct is happening. Would be announced by now, it's 4pm here now. Usually announced by 2pm a day or two before hand. Reggie's worked himself pretty hard, and with Iwata dead and Sakurai always working himself into poor health, you've got to figure he's getting more and more aware of the toll. I can't blame him for wanting to get out while he still can. I don't think there's anything particularly suspicious about that. @NEStalgia I guess for Stadia that would be a good thing. @readyletsgo If it's happening on the 11th, it would be announced on the 10th. @NEStalgia "all value like a strip-mining operation"
Wow. Can't imagine Nintnedo going the Mitt Romney run it into the ground root. Worse case scenario for Nintnedo if the guy is that bad is going 3rd party mobile. Which would be worse than bankruptcy for some fans. If he's a tried and true capitalist it is all about the money, fun and quality be damned. Well, I'm hoping for the best, kids need games. Whole industry is going to heck. Heck the whole world is going to heck. @rjejr i think there's enough warring factions in Nintendo to keep it from becoming a fire sale... For now... But he's certainly that type of leader from what we've seen. I completely agree on the final part though. If it does happen they will announce the next 3 Smash amiibos. Joker DLC available after direct and maybe more about Mario Maker. Animal Crossing will be revealed properly at E3. They like keeping us on edge don't they? Still no news on the NDirect. If people keep dropping rumours like this that prove false, never give them the time of day. Even if it’s a slow news day. @Grumblevolcano 10th is mostly over, 11th not looking likely. And a part of me still thinks every time Nintendo has an ND scheduled and it gets leaked they delay it just b/c. @rjejr Directs are generally the first NoA tweet of the day so we knew no Direct tomorrow about 9 hours ago. I don't see one happening until 25th to be honest with them mostly promoting Yoshi's Crafted World and Box Boy + Box Girl in the meantime. @Grumblevolcano Unless they're just toying with us now. I think a send-off for Reggie would be great and even an introduction to Doug Bowser, though most Directs of late have been run by Nintendo HQ in Japan instead of NOA. But yes, more details on what the Smash update includes are needed. It would also be a great time for a preliminary reveal of one or both Switch revisions. Early details on Animal Crossing would be great, maybe a few more details on Mario Maker 2 or some indie titles coming up. We are only two months away from E3 and Nintendo will only have time to cover so much in their conference that a little pre-E3 hype building can go a long way. Personally I'd love to hear what's going on with Mario Kart mobile or the next Switch specific Mario Kart title. Welp, 2 hours on Thursday April 11th, A Nintendo Direct is not gonna happen. I can bet on it right here, right now. Maybe next week! There was a rumour, thanks to Tom Nooki's post that a Direct could be happening on the 15th... This could still be for a Direct. Keep hopes high but scepticisms higher! @Rhaoulos I feel like an assist trophy would be more appropriate. Imagine an intense match on Final Destination when-"Gasp!" Reggie has appeared! Your opponent can hardly muster their own breath when an all-encompassing "My body is ready", echoes seemingly throughout the entire universe. You can hardly tell that you've won when your TV bursts into flames. Seconds after the dust clears you can tell that whoever you played with has mysteriously disappeared with no trace left. This is why I hate reports about rumours. Stick to reporting actual verifiable news, please. Gaming Intel just lost all credibility with me.